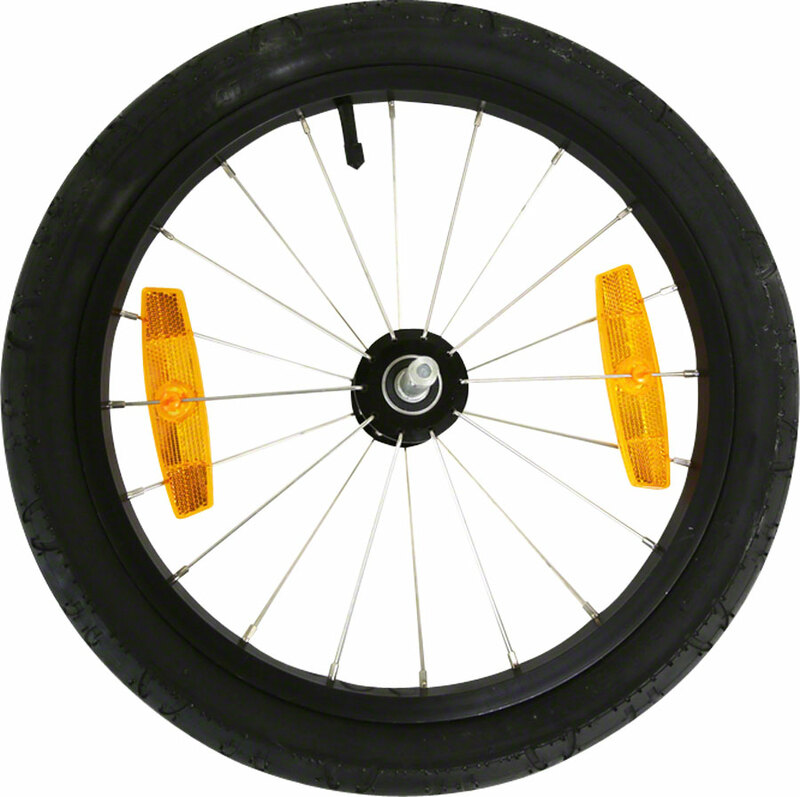 I'm looking into building my own trailer and I want something similar to Burley's push button wheel system. My question is, where do I obtain similar wheels/axles? 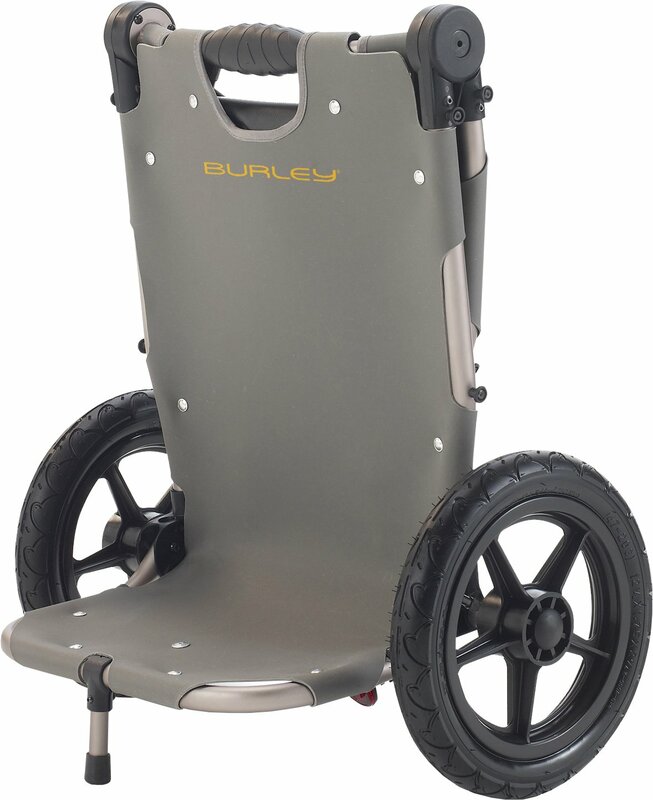 Replacement ones sold by Burley are pricey, anyone else have any luck looking for a similar product? If what you really want is Burley hub/attachment guts, just ask around for someone getting rid of a Burley trailer with rotted out or missing fabric. They've sold a lot of trailers and many of them sadly get put outside to languish before eventually getting thrown away once they get nasty. Alternatively, Ali Express has a lot of the approximate kind of stuff you're looking for. I don't know if you know the term "stub axle," but that is broadly what you're talking about, an wheel axle like a car or a wheelchair where the support is only on side. Its hard to see in the Burley photos, but the replacement photo shows a conventional wheelchair stub axle. These are not particularly rare, but they're not bicycle parts. Instead, you'll need to look into medical or assisted living equipment providers. Another option is to make contact with the equipment department at your local hospital. Here's a closer photo of the wheelchair axles from my trailer. two wheels, one showing inside and one showing outside. Main axle housing, showing retainer clip. As you can see, the main axle is a pipe/tube with a retainer clip. This engages a slot milled into the wheel's stub axle. The axle itself is a piece of round bar stock with some grooves machined into it. There's a circlip holding the cartridge bearings into the wheelhub on the inside, and probably a simple bolt head on the outside. In short, any competent machinist / lathe operator / fitter and turner could make these. Mine do not have a press-button on the outside to release the wheel. It is just a solid cap. Not the answer you're looking for? Browse other questions tagged wheels trailer diy or ask your own question. How to attach and mount wheels onto a cargo trailer? Burley Flex Connector, square tube vs round tube, does it really matter? Are the wheels of Thule and Burley two wheeled trailers interchangeable? Does the giant atx 2 2017 model have quick release wheels or thru axle wheels? Croozer hitch — axle quick release lever on the left? What are the advantages of the Burley hitch design?